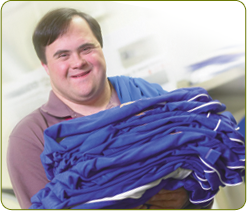 Independence, protection and peace of mind: the Special Needs Access Program for adults. Help your loved one remain independent and be there for them in an emergency by enrolling him/her in DocuBank S.N.A.P. (Special Needs Access Program). The S.N.A.P. Card provides continuous access to vital medical information, emergency contacts, and the legal documents caregivers and first responders need in an emergency. And, it alerts you whenever the card is used. One S.N.A.P. Card for the member and one card for the appropriate caregiver. Helping to improve the level of care. The S.N.A.P. card itself displays emergency contact names and phone numbers, as well as information about medical conditions and allergies. This information can be critical in an emergency and make a world of difference in the appropriateness of the care provided. Always in touch, always informed. 24/7/365. S.N.A.P. members receive two Emergency Access Cards. The member should always carry one. This added level of identification, coupled with pertinent contact information can help the member find their way should they become lost or confused. The additional card can be carried by the primary caregiver and/or passed on to temporary caregivers while the member is with them. Keeping vital information up to date is easy and free. As the S.N.A.P. member’s situation changes, so too must the information and documents available to medical professionals, advocates and caregivers. We make it easy to update your information, and check with you each year by mail to request new or revised documents. It is impossible to put a price tag on the added level of protection provided by S.N.A.P. and the peace of mind you will enjoy by knowing DocuBank is always looking out for your loved one. Many qualified Special Needs Attorneys include DocuBank S.N.A.P. as part of a Special Needs Trust. If you would like to enroll on your own our affordable rates are as follows: one year: $50; four years: $145.